Intake: Injuries, medical conditions, permission from your doctor to participate in yoga, exercise program? What movements will make my condition worse? What movements will make my condition better? The yoga postures we practice today were created by yogis who lived far away from cities as we know them now. They surrounded themselves in nature and observed the natural world. They watched nature closely and learned how to live simply, harmoniously, inspired by the environments, oceans, forests, mountains, stars, sky, sun, clouds, rivers, plants, animals, environments, sights, sounds, aromas and light that was non-built and non-synthetic. 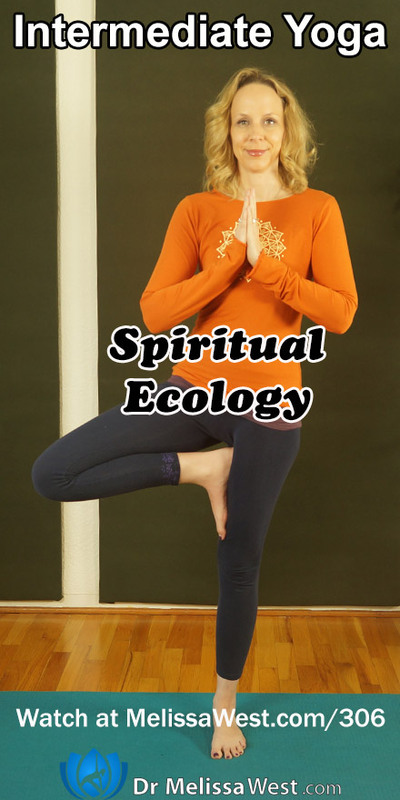 Spiritual ecology is the interrelationship between our outer, physical world, our awareness in the sacredness of all creation and our inner relationship to our symbolic world of our spirit and and how this affects our own spirit and the spirit of the world. 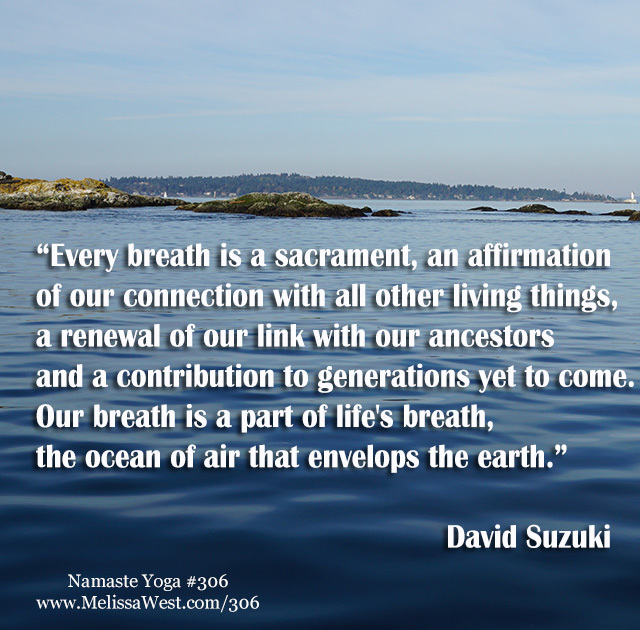 The word yoga means to yoke or to join, it speaks to the interconnection between all things, including our interconnection with nature and all living beings and organisms on our planet. 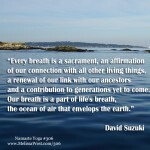 Our yoga practice is a perfect opportunity to unite our relationship with nature. By connecting with the four elements in nature, earth, water, air and fire and their corresponding qualities in our body we find harmony and interconnection in a world of disconnect and alienation. 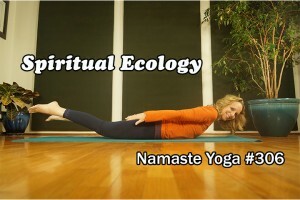 We will also connect with nature through yoga poses inspired by nature to restore balance internally and heal the split between our spirit and natural world. Thank you for your donations. Leah and Eva. Today’s question to answer in the comments is: How is it with you today? Tell me about the earth, wind, fire and water in your environment inner and outer. Today we did a lot of things to create an interconnection between your internal and external environment today. To see your body as a microcosm of our macrocosm. If you would like to receive 3 simple ecotherapy practices that you can easily incorporate into your life then signup below. If you would like more support in connecting with nature, then I would highly recommend our membership community. We have seven walking meditations in our membership community designed to help relieve stress, calm your body and focus your mind. Walking meditation can be incredibly relaxing, especially during times of high stress. Mindful walking can help to relieve arthritis, improve your digestion, and bring peace of mind. Previous post: What should I do after the beginner yoga classes?